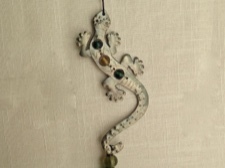 Perfect reminder of time spent on St John - who has never seen a gecko? Impossible here on your favorite island paradise! 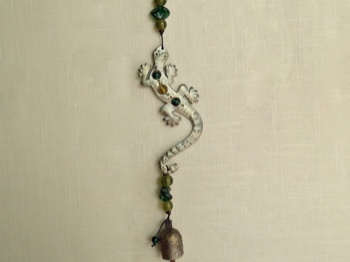 This delightful gecko wind chime is handmade and contains a traditional Indian Nano bell. 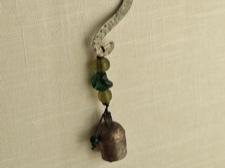 Nano bells are unique to India, originally used to keep track of cattle herds, and are still created using the age old secret family tradition. This chime is 18 inches long and only 3 inches at its widest part.